Auction Dates 1/19/19 to 1/23/19 at XOME. This home is Amazing! Over 7, 000 finished sq ft on 3 levels, 1+ Acre Lot Backing to Woods with a 3 Car Garage. Gourmet Kitchen, Home Office, Media Room, Sun Room, Incredible Master Suite, Deluxe Master Bathroom, Hardwood Floors, Cozy Fireplace, Granite Counters, Stainless Steel Appliances, Guest Bedroom with Full Bath, Finished Basement, Rec Room, Game Room. Property is located in Laurenwood Estates in Manassas. It is a small subdivision with 40 homes very accessible to Dumfries Rd. and Prince William Pkwy. 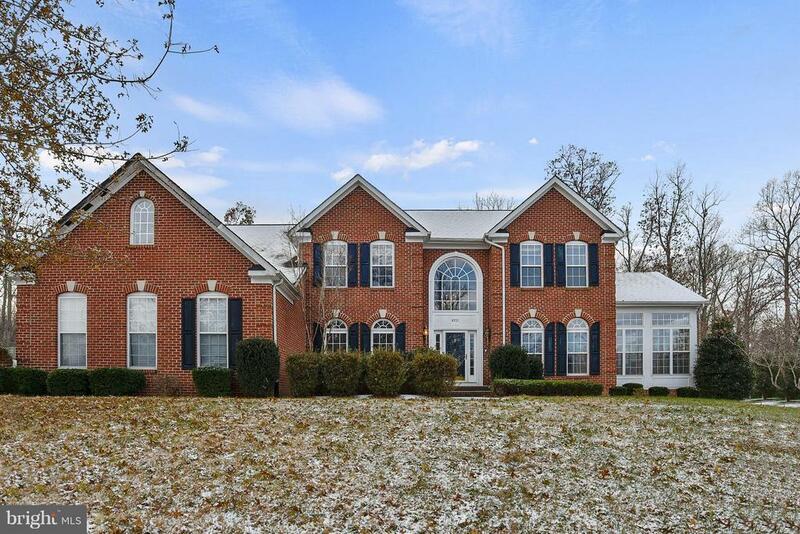 Close to Fort Belvoir and Marine Corps Base Quantico. Shopping, parks, marina, golf club, and recreation center are nearby. Directions: From I-95 South, Exit Prince William Parkway towards Manassas, Left on Hoadly Road, Right on Chaddsford Terrace, Left on Swinton Place, house on your left.